You will LOVE YOUR RESULTS with goPure or 100% of Your Money Back - Guaranteed. NO AUTOSHIP - OR AUTOBILL - EVER. 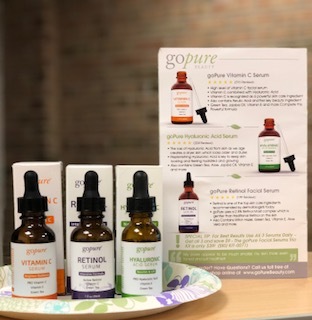 Top Ingredients such as Retinol, Hyaluronic Acid, Vitamin C, Jojoba Oil, Gotu Kola, Aloe Vera and More combine to create this beloved skin care line. We do NOT sell to stores, cutting out the middle man and pass on the savings to you. A beauty store or drugstore usually charges DOUBLE of what they pay for the product - we just pass those savings on directly to you. We do not waste money on fancy packaging, celebrity endorsements or high rent store locations. We invest those savings in research and development of new formulas. We also focus on sourcing the highest quality ingredients we can find. My skin is smooth and the fine lines are much smaller and less defined. Several compliments on how radiant my skin looks. This is the best skin care I have found for preventing wrinkles, and I love that they never autoship yet the products are affordable. I am 75, and people continue to seem surprised that I am that old. Love the Retinol Serum. It gives my skin a nice bright healthy and youthful glow. Will repurchase again. Love this product. My skin and neck look significantly better , smoother and firmer . Leaves my skin silky . 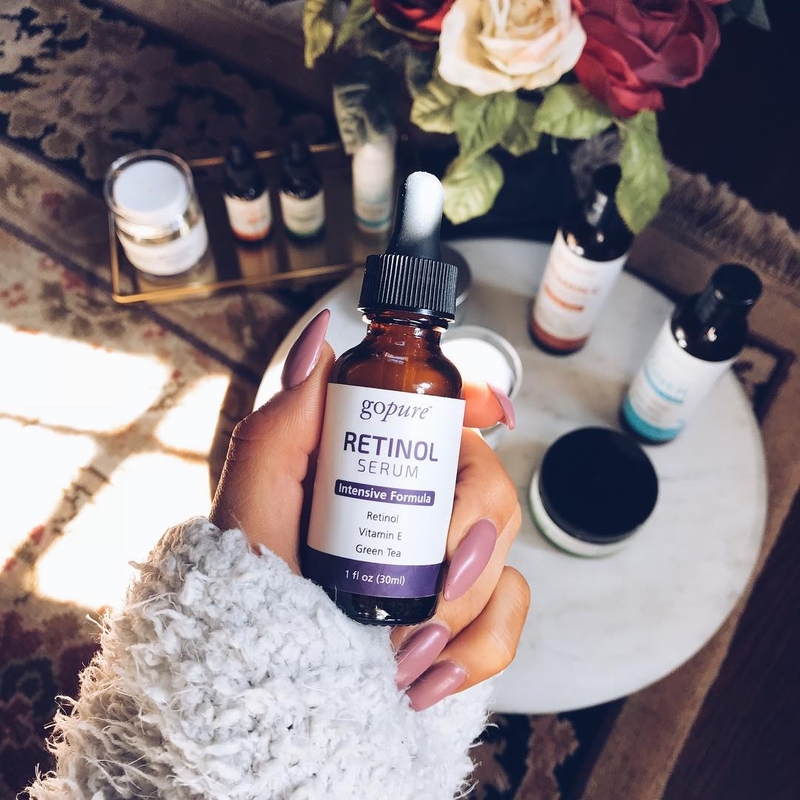 If you don't love your Retinol Serum, just let us know within 60 days from the order date so we may issue you a refund. It's a worry-free, 60-day money back guarantee. Get the trio of serums for only $38.90!